Educating men in the art of seduction. Our goal is to teach men “How To Get A Girl.” So each day we try to teach a different principle that will help you during the attraction and seduction process. For the most part we are all products of an incentive-based society. We are conditioned to engage in opportunities that provide incentive for us. This is simply rational decision making behavior. We go to school and educate ourselves to one day obtain a career that we enjoy. We get out of bed in the morning to go to work to earn a paycheck. We approach women in bars and nightclubs to create friendships that can develop into lasting relationships. Because we seek incentives before engaging in activities, we need to stop and analyze our approach. Ask ourselves what is the “draw” behind my message. When soliciting a woman for compliance or cooperation one powerful method of creating “draw” or incentive is offer help in an unconditional “no-strings-attached” way. By offering help you will increase compliance and your personal likeabilty. This approach strategy is easy to implement, you need to use cold reading techniques and identify opportunities to help women. Once you find an appropriate moment you can easily move in and offer your help. This process builds trust and rapport with your target. Men are always asking “How To Get A Girl.” Every time I post a blog I try to provide a nugget of knowledge that can be helpful in your pursuit of beautiful women. The concept that I want to emphasize today is the idea of Group Judgment. People are social by nature. Extremely beautiful women are generally social butterflies and enjoy being in large social groups where they are showered with attention. The attention is warm and comforting and causes feelings of acceptance. Because beautiful women are extremely social. They are usually found in large groups at bars and night clubs. It is rare to find a beautiful woman sitting alone at the bar. This group dynamic influences decisions and judgments. Consequently, the factors that make you attractive in the eyes of a beautiful woman are influenced by social factors. In order to get the girl you must win over her friends. Studies show that when groups are cohesive and relatively insulated from influence of outsiders, group loyalty and pressures to conform can lead to what is called “groupthink.” This was defined by psychologist Irving Janis and “refers to a deterioration of mental efficiency, reality testing, and moral judgment that results from in-group pressures.” These pressures can be difficult to overcome when approaching women in groups. Your strategy should be to approach the group and not the girl. Focus on gaining the approval of a less attractive girl in the group and work your way up the food chain. By becoming friends with the less attractive friend and showering her with attention you position yourself to approach your primary target. In fact, by showering attention on the less attractive girl you will provoke feelings of jealously in your primary target. Never underestimate the power that group judgment plays on individual decision making. 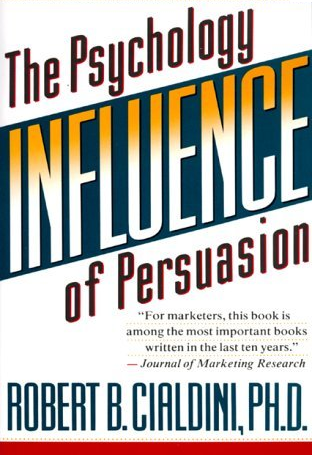 One of my favorite books that I refer to frequently is called Influence: by Robert B. Cialdini. Robert is a Professor of Psychology at Arizona State University. His teachings on Influence and Persuasion are highly regarded. Many of his teachings can be applied to your PUA training. There are certain principals of Influence that will show you How To Get A Girl. There are four principals that influence decision making and apply directly to the attraction and seduction process. I will touch briefly on each principle of influence as taught by Robert B. Cialdini in his book Influence and explain how these principles can be applied to improve your game. By having a firm understanding of the principles that influence our decision making behavior you can learn How To Get A Girl. I will now refer to these principals of influence as weapons of influence. Social Proof – This principle states that we determine what is correct by finding out what other people think is correct. The principle applies especially to the way we decide what constitutes correct behavior. This psychology is important to understand for a PUA. Usually, when a lot of people are doing something, it is the right thing to do. Generally we make few mistakes by acting in accord with social evidence than by acting contrary. The greater the number of people who find an idea correct, the more a given individual will perceive the idea to be correct. How does this apply to getting girls? 2.) You ask your date to meet you for cocktails before dinner at your favorite restaurant. You have the cocktail portion of the date staged. You have table with three hot girlfriends or models (Hired Help). You are talking drinking having a good time. Your date arrives and finds you surrounded by beautiful women. As your date arrives you wave her over and make introductions to each person at the table and then excuse yourselves and leave on your dinner date. By meeting your date in the staged cocktail setting you demonstrate social proof that you have beautiful girlfriends. The social proof communicates in a non-verbal way that you are a man of high value. Physical Attractiveness – This is a response that social scientists call the Halo Effect. A halo effect occurs when one positive characteristic of a person dominates the way that that person is viewed by others. Similarity – We like people that are similar to us. Whether the similarity is in the area of opinions, personality traits, back ground, or lifestyle. We are more likely to say yes and be in compliance with someone we are similar to. Compliments – We are more likely to “like” and comply with someone who gives us praise. We tend to like people who say that they like us. Familiarity- We tend to like people that we share in our positivity and have frequent and repeated social contact. During the courtship process you are constantly attempting to seek the approval of your target. Finding ways to identify commonalities and similar interests will help you to gain the approval of your target. Giving genuine compliments without telegraphing interest will also help your to gain her approval. Authority – We are conditioned from childhood to accept the influence of authority figures and we are often vulnerable to the symbols of authority. Compliance professionals understand that when draped with titles, clothes and images of authority they are in control. When we react to authority in an automatic fashion , there is a tendency to do so in response to the mere symbols of authority. During the attraction and seduction process when seeking compliance of a woman. It helps to demonstrate symbols of authority that show that you have power. By doing so you show your target in a non-verbal way that you are a man of high value. Scarcity – We assign more value to opportunities when they are less available. People want what they can’t have. Stimulating jealousy or the idea of loss is a powerful tool to leverage during the attraction and seduction process. I hope that these principals are helpful as you learn How To Get A Girl. Men are always wanting to learn “How To Get a Girl.” or attract high quality women. Attraction and seduction is all about attitude. Building confidence is the key element to the equation. Building confidence is a process. The best way to begin building confidence is to create an increased sense of respect for your self. The first way that we recommend improving your self respect is by improving your personal grooming behavior. We recommend upgrading your personal grooming products. Buy some new body wash, cologne and shampoo. Make sure that what you buy is an upgrade from what you usually purchase. Go to a department store that sells high end body wash products (not AXE body spray or Old Spice). You want to find high quality body care products. Find a beautiful women working there and tell her that you are looking to upgrade your body wash, cologne and shampoo. Tell her that you’re looking for some good suggestions. Take what she has to say into consideration and buy at least one of the items. They don’t need to be expensive. Remember we’re looking to make gradual progress. Once you have your upgrades go home and use them. Brush your teeth use mouth wash and shave your face clean (you can preserve any preexisting mustache, beard or goatee). Make sure that you shave or tweeze any stray hairs where hair appears – your ears, nostrils or the back of your neck. Memorize this and say it out load each morning before you start your day. This will be your new morning ritual. Like saying a prayer or reading scripture. It should become part of you. Now go to a nail salon. That’s right you heard me. Where women go to fix their nails and look pretty. Ask for a manicure. If the woman working at the nail salon asks you if it’s your first manicure say yes. Tell her that a friend told you to try it. Don’t get any nail polish. If the girl doing your nails is cute try to start conversation with her.